We were at Butlins Bognor Regis during a Just For Tots break last week which saw lots of activities and shows targeted at preschoolers including the very first Mister Maker Live Show. Before going to see Mister Maker I was interested to see how well the TV show would translate from screen to stage and I can confirm it did fantastically well in an engaging, interactive and fun way that kept the kids concentration throughout the forty five minute show. I tried to capture some of the show on video but it was hard to get good quality clips due to the lighting so apologies if they are not the best but I hope they still give you a good feel for it. The show started with a brand new Mister Maker song performed by Jenny and the rest of the Butlins team which is very catch and one we have been singing ever since. From the start Mister Maker promised us that the show was all about "having fun, getting creative and giving away some amazing arty prizes" and he didn't disappoint. The presenters on stage with Mister Maker did a great job helping him to keep the show flowing. I loved the audience participation where kids "mini makers" and a parent were brought up on stage to take part in tasks like Minute Make. Below is a clip of Harley and his mom making a giant picture of Mister Makers face out of various items like rubber gloves, Mister Makers spotty pants and so on. Ben loves The Shapes so we were delighted to see them make an appearance. We all had a fun dance and sing a long while there were on stage making triangle, rectangle, circle and square shapes and people posting #iamashape selfies while we did. It was so much fun and great to see everyone getting involved. 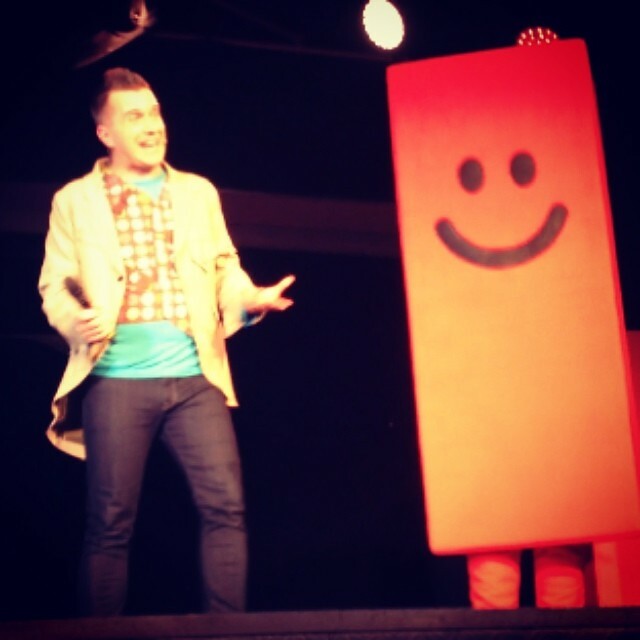 Mister Maker Live is definitely a must see if you go on a Butlins Just for Tots break. 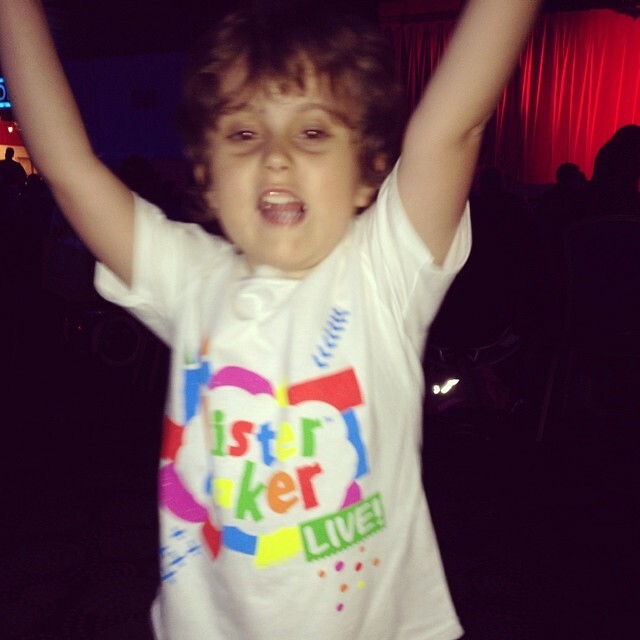 I know Ben is going to be talking about it for a long time to come and he wears the Mister Maker t-shirt we got him as a souvenir with pride telling everyone and anyone who comments on it all about the show. Your kids will love the show as will you. Here's a tip for before you go - get practicing your shape dance moves as the best parent and child combo wins a prize! You can view all the dates and details for the next Just for Tots breaks here. *Disclaimer: I am a Butlins Ambassador and have been invited to stay for a four day break as part of my role as Ambassador. All views are my own and unbiased.